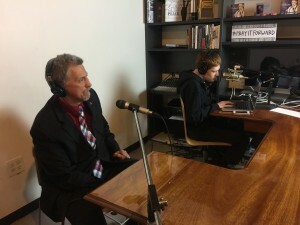 Tags: community, disabilities, Inspiration, Motivation, Outreach, Randy. One of the many joys of the path I attempt to follow involves the incredible people and stories I find along the way. In this case Christopher and his Mom Christine found our 2020 Vision Quest charity back in 2012. We were hiking Mt. Uncanoonuc with some students from Trinity High School as part of their community service efforts. Like me, Christopher is completely blind. I was gifted with his determination to experience the trail as we hiked together on that day so many years ago. At the summit, he shared with all of us his incredible singing talents. Along the trail, as is so often the case, we shared the start of a friendship. You can find my sessions with him here and here. I hope you’ll visit his archives not just to hear the shows we shared but to hear all of the fun pieces he’s put together. 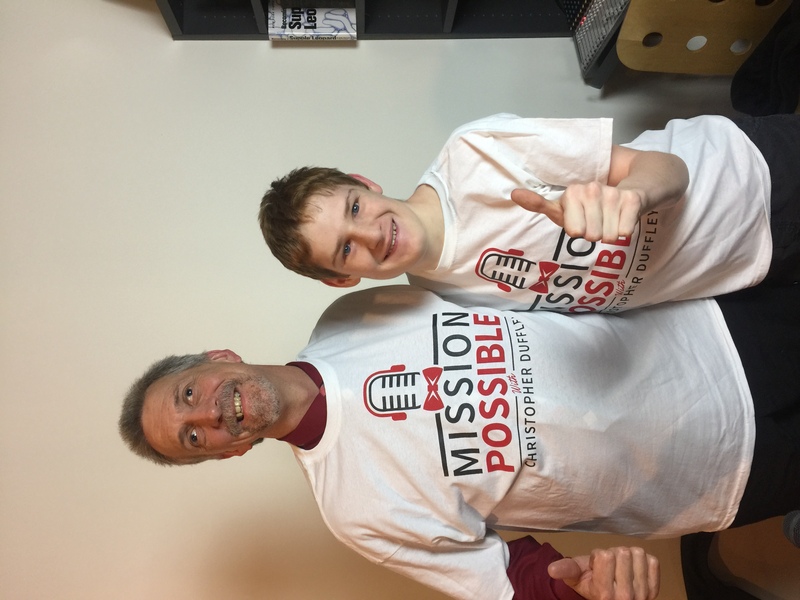 At just 15 years old, Christopher faces many challenges and we are like minded in many ways for putting the focus on what we can do: possibility not impossibility. 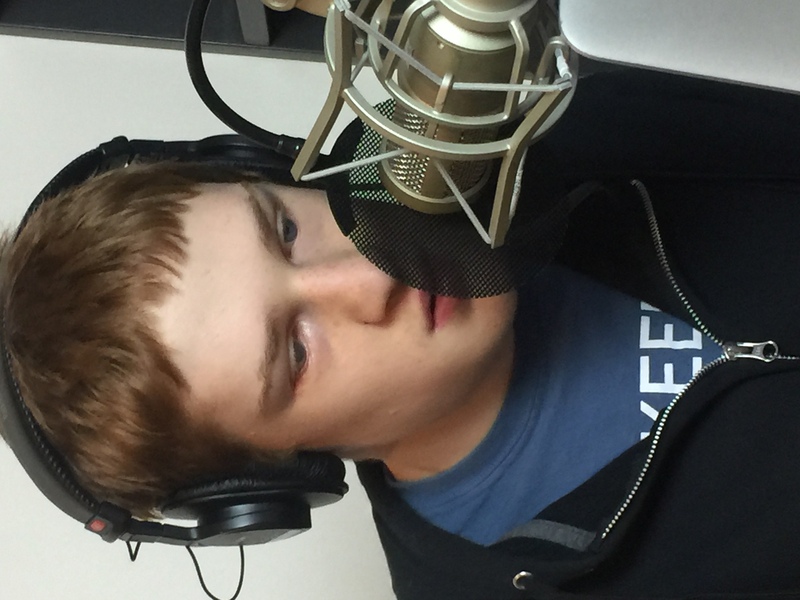 Listening to him manage the recording studio with the technological ease and confidence of an adult professional was remarkable. My only reminder he was doing it totally blind was listening to the high speed chatter of Jaws in the headsets as he managed it all seamlessly throughout the recording. His shows are 10 minutes in length and he had to manage the overall timing, develop his questions and work my often lengthy answers into the time frame of his show. He worked the edit process into our time shared while pausing as necessary to reset our efforts. We had our separate conversation off the microphones as well as on the recording while he managed the technology, his guest, and the over-arching plan. I was impressed and enjoyed myself in part for the process and in part to see how far I feel this remarkable young man has come on his journey. I encourage everyone, myself included, to reach for and achieve our peak potential. I don’t have to encourage Christopher as he already has that spirit in himself, in his family and in his community. Seeing all this already ensured my day with Christopher was a success for me and I can only hope he found some value in our time as well. 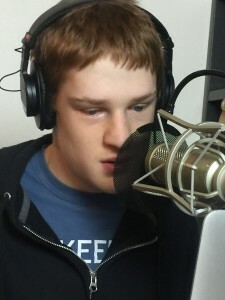 I know Christopher is renowned for performing the National Anthem for many major venues including the Boston Red Sox. I know he’s produced a couple of music CDs and that his faith is very important to him as part of his mission. I was not surprised when talking with him to learn that he’s starting to frame his future in ways that combines his talents and his beliefs with an eye/ear towards the radio world. My own future plans changed so many times from 15 years onward and still changes today. 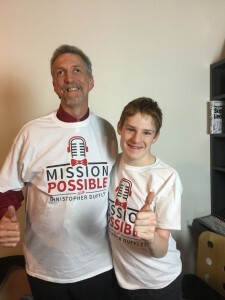 I think once again Christopher and I have a similar mindset which will allow him to pursue his goals and dreams with a passion and a purpose determined to say to the world my “Mission is Possible” and you are welcome to be a part of it because sharing belief is at the heart of bringing people together for a better world. Once again I encourage you to visit his show and listen to us or his many other shows to appreciate what’s ahead for us in this young man.